At Faith Tabernacle, we support Missionaries local and abroad. We don’t take lightly the charge of Matthew 28 which tells us to go and make disciples of all the nations. Below is a list of the different ministries and missionaries that we support. If you would like to support them yourself, please call the church office for more information on how to do so. Dave and Becci Snyder have served in Mexico since 1980, with a growing vision to train up leaders. They pastor the Agua Viva church in Petatlán, Guerrero, in southern Mexico, a cell church which has started works in neighboring towns. Their vision is to see other churches start from this same model. Dave also has spiritual oversight over other churches and ministers in their fellowship of churches. He serves as the director of their Bible institute, which offers both on-site and online studies, and where both Dave and Becci teach. Joel and Yvonne Trimble live in Haiti near Cap Haitian. They went to Haiti in 1975 and minister the gospel through television, crusade and church evangelism. Joel and Yvonne are soul winners. They founded Haiti for Christ in 1979 and have dedicated themselves to prayer and the ministry of the Word. Jim and Sue Christie have been serving with Kings Kids Village, an outreach of Encouragers Unlimited. They moved to Nairobi, Kenya in 2010 to work and work as Co-Directors in the Kings Kids Village Orphanage for children who have lost their parents due to AIDS/HIV. Nina attended Faith Tabernacle Church many years ago, and during that time, sensed a call from the Lord to give her life to full-time missions work. While receiving training for this purpose, she met Brian, who shared that same vision. They married, and have served the Lord with Wycliffe Bible Translators for over 30 years. They presently work in East Asia, where they mobilize the local churches to be involved in missions and provide mentoring and training in cross-cultural skills. also serves as overseeing pastor of the Iglesia Nuevo Amanecer Church. John and Ruth Epp are semi-retired missionaries who had worked in Hong Kong for many years. While in Hong Kong they pastored different churches and had many outreaches for the local people. Ruth Smith first went to Hong Kong in 1959 at the age of 22 and returned to the United States for the first time in 1963 for the first time. Ruth met her future husband in 1964 in Hong Kong where he was helping with relief work for refugees. They were married later that year and worked in Hong Kong until John retired in 2005. The currently live in California, but Ruth continues to travel back to Hong Kong periodically. Far East Broadcasting Company is a ministry engaged in world missions by sharing the Gospel of Christ through international radio broadcasting and through supporting missionaries. Through this ministry, the Gospel message and scriptures are broadcast into many countries where Christianity is restricted or prohibited. Open Doors with Brother Andrews is a ministry that serves to strengthen Christians to stand strong in the face of persecution and to equip them to share Christ’s love in the world’s most oppressive countries. Open Doors supplies Bibles , trains Christian leaders, develops Christian communities, coordinates prayer efforts, and advocates for suffering believers. 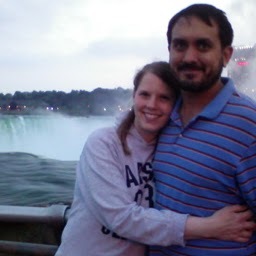 Doug and Kristi Allee are missionaries who work in Mindoro, Philippines with Assembly of God World Missions. Paul and Sandy Rog work with child Evangelism Fellowship. They began their ministry with CEF in The Gambia, in Africa. Several years ago they felt led of the Lord to turn the work in The Gambia over to national workers, at which time they moved to Grenada to serve as Leadership Development Coordinators of the Caribbean. At this point, they are overseeing CEF’s work in Aruba, Bonaire, and Curacao. Compassion International is a Christian child sponsorship organization dedicated to the long-term development of children living in poverty around the world, pairing needy children throughout the world with financial sponsors.